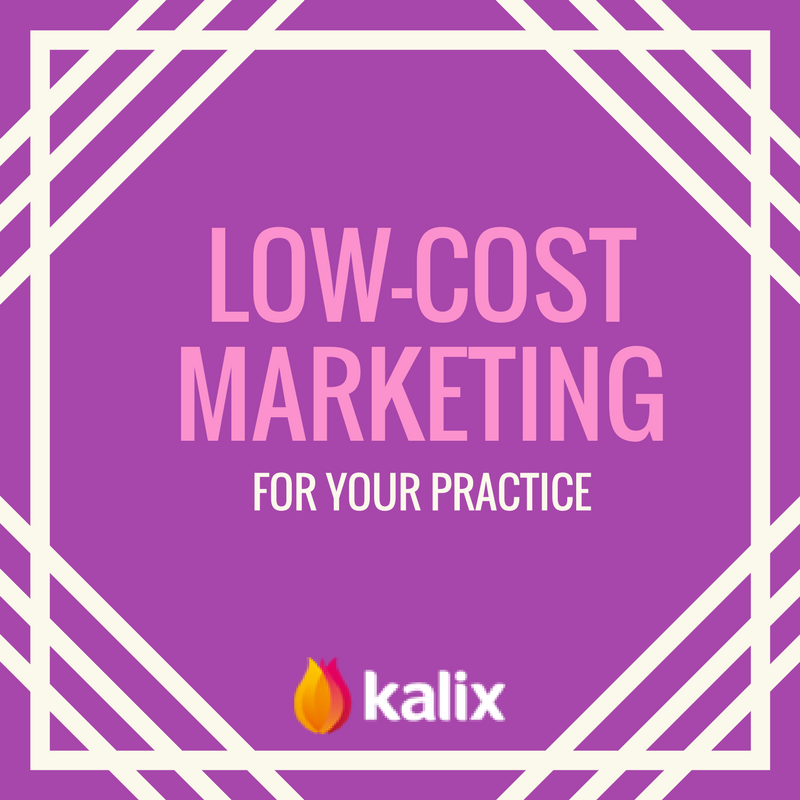 Low Cost Marketing for Your Practice – The Official Kalix Blog. When you are working to establish your practice’s presence online, it can be easy to assume the best way to promote your services is to use paid advertising on platforms like Facebook. But there are actually many different ways to market your practice for little cost. Hosting a webinar is a free way to engage with your audience and establish yourself as an expert in your field. While it doesn’t cost you anything to host a webinar, they can take time to plan and promote. The more appealing the topic you choose, the more engagement you’ll receive from potential clients. To host a webinar, you will need to spend time developing your content, will need to promote the webinar through social media and any email lists you have. You will also want to follow up with webinar attendees after the event. While this process can take some effort, the payoff can be significant. For service-based businesses, it is very easy to create a simple referral system which gives incentives to clients who invite their friends to schedule an appointment as well. To do this, you can offer existing patients a percentage off of their next visit or free products. While this may cost your practice some income, you will take up for this with revenue from your new client. One of the simplest ways to market your business is maintaining a regular blog on your website. Most blog posts are 350-500 words long and focus on topics you know will resonate with your audience. It may seem overwhelming to come up with content for this on a weekly basis but it is possible to write several posts at one time or to outsource this task to a virtual assistant. Having a consistent presence will show your investment in your practice and will also boost your website’s ranking with Google’s search engine. These marketing tactics may take some time but they will pay off in free exposure for your practice. Do you have any low cost marketing techniques you’ve successfully used in your practice? We’d love to hear about them in the comments!